I recently learned that Telltale's The Walking Dead is approaching its third season. Upon this discovery, I was slightly taken aback. "That's it?" I thought to myself, "They have only pumped out two seasons of this?" I am a big fan of Telltale's The Walking Dead, and I have played the entirety of seasons one and two, but upon hearing this news I didn't really care about it. "I don't have the patience to put up with scattered release dates and slow storytelling," I apathetically mused to myself, slightly proud of my overblown cynicism. I brushed off the thought, assuming nothing of it. Earlier today, however, I discovered that Square Enix's new Hitman game is being released in an episodic fashion. Profoundly confused by this news, I set out to figure out why. While I am not really anymore informed now, I feel I've come to a general consensus that this entire concept is a little unnecessary and has overstayed its welcome. I think episodic gaming is a very interesting concept. The general idea of an episodic game is to emulate the schedule of a television show, and as a result, emulate the dramatic chops of a television show. This is certainly a great idea for story-based games, where each episode is small enough in scale to be able to focus on dramatic, plot-driven elements so each moment of character development can really resonate with the player. The Walking Dead has been able to accomplish this very well. However, there is a large problem with imitating the release pattern of a television show: A video game takes longer to develop than an episode of a television show. A television show has week-long gaps between episodes, and the releases of these episodes are given set release dates in advance so the viewers know when to get hyped for the next episode. Both seasons of The Walking Dead, however, have wildly sporadic release dates of no set pattern, and both seasons respectively took eight months to release in full. With this design, gamers don't know when the next episode is coming until a short time in advance, and that gives us plenty of time to flake on a game because we no longer care about the story. There's also plenty of time to forget the contents of the previous episode and not bother with the next one because of that. This is, in no way, the developer's fault. Game design takes a very long time, and expecting a developer to pump out a new episode every week is ludicrous at best. However, this is precisely why applying an episodic feature to a video game is a bad idea. It's very frustrating to some gamers when they are expected to remember something they experienced months ago in order to receive the full experience the developers are trying to convey. Giving a pre-game recap of previous events completely removes any sense of story immersion, and I don't even like when television shows do that. While it's a little contradictory to complain about remembering gameplay and to also complain about developers recapping the story to their audience, immersion is also imperative for a story-driven game, and a writer should be completely focused on maintaining this audience captivation. This format also hurts the efficacy of the game's storytelling. Because the story is drawn out into smaller segments, the writing can become meandering and static as a result. While there is certainly time to focus on character-driven moments, there is perhaps too much time for the writers to play with. 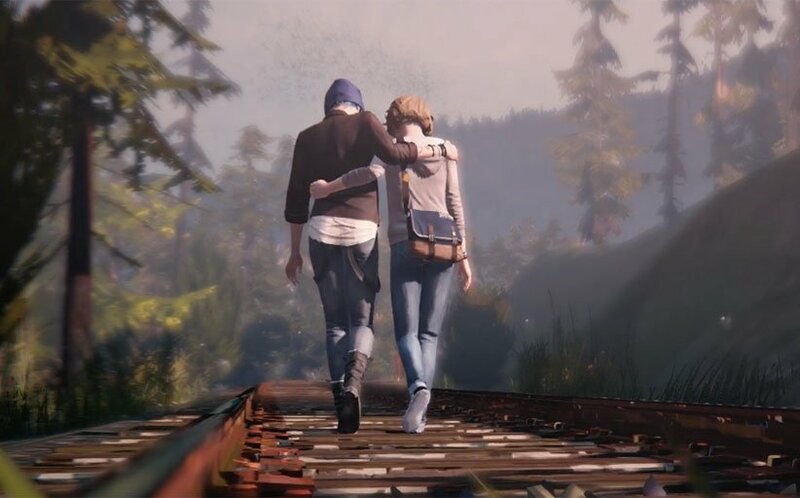 For example, Life is Strange features far too many moments of, essentially, dawdling, as a way for the developers to give the player the impression they are getting their money's worth. There is a point where the player goes hunting for bottles for a staggeringly extended period of time, and I'm not even kidding. Life is Strange is a lukewarm experience when played as one product, but stretched out into its separate episodes is a long drag full of tedious quests and moments of very bad storytelling choices. As a full product, the game would have worked a lot better, but to someone who stuck around and waited on pins and needles for each episode's release, it's disappointing at best. From a monetary standpoint, this format is suboptimal for gamers as well. While these games are released episodically and can be paid for per-episode, they can also be purchased in a season pass-like fashion. Generally, each episode goes for around $10, and if a season were to contain five episodes, the consumer would be paying $50 for the full product. With a season pass, however, the consumer pays a flat $30-40, and can confidently say they saved a pretty penny. This, however, is a large gamble, considering the quality of the episodes could easily dip after the first or second one. Just like a bad pre-order, the developer safely has the player's money in their hands even if the consumer is not receiving a quality game. It's entirely possible that if a developer releases an excellent first episode and receives a lot of season pass orders as a result, the quality will heavily decline as there is significantly less incentive to deliver much of substance. While this hasn't really been a problem thus far, it is strongly hinted at in Life is Strange and a dip in quality is very much a possibility with the new episodic Hitman release. This is Square Enix we are dealing with, after all. Monetary problems go both ways, however. If a developer only has enough money to create one episode, they will release it and expect the returns to finance another episode. But what happens if a gamer invests in a new episodic gaming series and it goes belly-up? It's entirely possible there could be another SiN Episodes tragedy on our hands at some point, where the first or second episode receives enough funds to cover production costs, but not enough to produce a sequel. If a confident studio releases the first episode of a game and slaps a season pass on it, there will be a lot of people that purchase that season pass. If it comes to fruition that the game financially tanked, then both the gamer and the developer are extremely out of luck, and nobody wins. With the birthing of Netflix, Hulu Plus, and other streaming services, even television is beginning to forsake the standard episodic release format. Binge watching has become incredibly popular, and for good reason. Stories are much better told when they're in a steady fashion without long gaps in between episodes. It removes a lot of viewer frustration and releasing in bulk relieves a lot of pressure from the producers. Daredevil, a Netflix original series, is released by season, not by episode, and it has received overwhelmingly positive reception. While a large factor in this is the quality of the show, I'm sure it wouldn't receive such high praise if it were released episode-by-episode. For another example, take the two final Hunger Games movies. Mockingjay Part 1 received a lot of backlash for being too slow and insubstantial, and Mockingjay Part 2 received just as much backlash for not capitalizing on the extended teaser that was its preceding counterpart. It's obvious that this fragmentary format just doesn't resonate with consumers, and there really needs to be less of it. While releasing games in an episodic fashion could be brilliant, it's simply a concept that's only good in theory and not in practice. This model greatly fragments storytelling, loses player interest, and puts a significant burden on both parties. Audiences are much more interested in receiving stories in bulk, and with television slowly beginning to break away from this format, it is profoundly confusing as to why video games would begin to move into this style, especially considering how much more effort and time it takes to develop a video game. While this is certainly an ambitious idea that could, in some theoretical plane, be incredible, it is simply underwhelming in execution. Incorporated, SharpGhost, Feyfolken and 8 others like this.